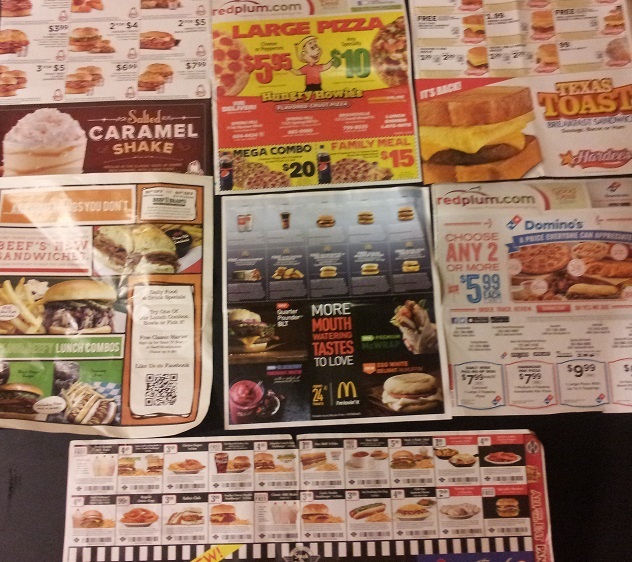 Fast Food Nation Coupons - Throw Them Away! Living In A Fast Food Nation Is Hard. No Fast Food Coupons! I have finally lost all patience with fast food restaurants. Not only are they unhealthy and disgusting, but their coupons junk up my mailbox and cause problems in my home. Everything was fine before we moved into our new house because we lived miles away from fast food restaurants. We rarely received coupons and it took more gas to drive to them than they were worth. Now that we've moved a little closer to the city, we get bombarded by their junk food junk mail and the guys love to check out the deals; especially when they are BOGOs. My husband is like a "coupon king" by nature, therefore those junk food coupons are like hitting gold to him. On the other hand, the kids get excited when they see them and want to go back to old ways of eating. I see them as a constant reminder of the mistakes we have made in eating and feeding our children that unhealthy, fattening, fake food, crap ... Fast food coupons cause problems in my home for sure! They are like a drug dealer coming into my house and offering 1/2 price off deals to my family. I am just sick of seeing them. Want to help your family get healthier? Stop eating fast food! Want to start losing weight? Pitch the fast food coupons! 1) Fast food is high in saturated fats (bad artery clogging fats). 2) Fast foods are higher in calories (more than we need in a meal). 3) The raising, handling and processing of the meat is frightening. 4) Fast foods are not organic or naturally grown (GMO / Pesticides). 5) Fast foods have dyes, chemicals, artificial flavoring. These are the 5 major issues with fast foods, but I could go on with how bad the white breads, sauces, American cheese and high fructose sugar are like killers for your system regardless of whether you choose the lower calorie options or not. Fast Food Nation, I am writing this for you! If you want to lose weight, maintain your weight and stop your loved ones from eating unhealthy; especially children at risk for obesity and obesity related diseases later in life, simply throw away those fast food coupons and you will be a step in the right direction for giving up fast food completely one day, too.